The Palmerbet Sports Team share their UFC tips & analysis for TUF 28 Finale when two dangerous Welterweights go head to head! Final Thoughts: This weeks UFC analysis has Former Lightweight Champion Rafael Dos Anjos being handed a task only one has done before him. Can he stop the momentum of Kamaru Usman as he leaves a path of destruction in the Lightweight division? Dos Anjos is the most skillful and dangerous fighter “The Nigerian Nightmare” has faced in his career. Since losing the Lightweight belt to Eddie Alvarez back in 2016 RDA has struggled to get back to that level and a win over Usman should put him right back in the mix. As a result, Dos Anjos is currently priced @$3.23 on Palmerbet after his loss to Colby Covington. Usman will need to turn some heads with his performance against Dos Anjos as he looks inches away from a title fight against current Champion Tyrone Woodley. Usman is an impressive pressure fighter who is incredibly dangerous on the ground which in the past, has been a combination that has troubled RDA. His ground and pound has proven to be an effective weapon for him although Dos Anjos’ Brazillian Jui Jitsu is not to be underestimated. There is a lot riding on both fighters, so don’t expect it to be finished early. Dos Anjos will need to inflict damange in the clinch as he has done so effectively over his career. While he hasn’t faced a fighter of Dos Anjos’ calibre, this weeks UFC analysis has us picking Kamaru to come away victorious. Final Thoughts: A classic striking vs. grappling match up has the momentum with Munhoz after he inflicted plenty of damage on Johns in his last bout. However, Caraway was less than impressive in his decision loss to Stamann and proved ineffective in most facets of his game. Although it was a close fight, Caraway didn’t show enough to convince punters he’ll get the job done against Munhonz. As a result, he’s priced @ $2.93 to win. We’re struggling to see how Caraway could pull off a victory against a fighter with plenty of tricks in his bag. Munhoz is an incredibly well rounded fighter and should have all the answers against his older opponent. As a result expect Munhoz to take this out of the judges hands. Final Thoughts: This Middleweight clash will undoubtedly give fight fans their moneys worth in Vegas this weekend. As a reckless striker, Edmen Shahbazyan could very well finish this fight early in the first round. 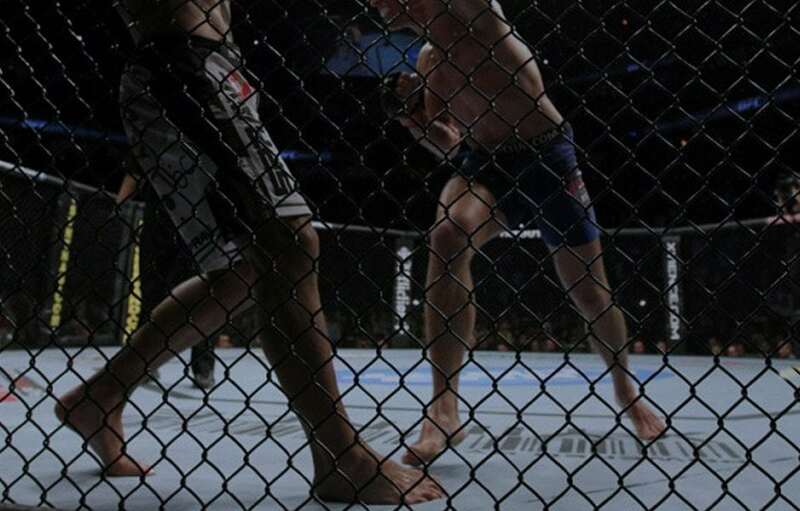 While he is a rather one dimensional fighter, his Rd 1 TKO of Jones proved he is an incredibly dangerous opponent. Stewart is a tough, durable fighter that can take shots and keep pressing forward. Much like his opponent, he is a proven knockout artist who can swing momentum with one shot. There will be plenty early fireworks with both men swinging for the fences although Shahbazyan hasn’t gone past the first round in his professional career. Therefore with this weeks UFC analysis we’re leaning towards Stewart @ $2.00 although will avoid picking him straight out due to his opponents relentless KO power. Final Thoughts: Shevchenko’s abilities are coming to fruition and she is well placed to be one of the most exciting fighters in the Flyweight divison. She presses forward consistenly and can close the distance effectively and land significant strikes. This fight will be the toughest to date for both fighters and although Yeon Kim was victorious in her last fight, it wasn’t a squeaky clean performance. On the other hand, Shevchenko didn’t seem troubled against Cachoeira. As a result, this weeks UFC Analysis proves she should get the job done in Vegas.